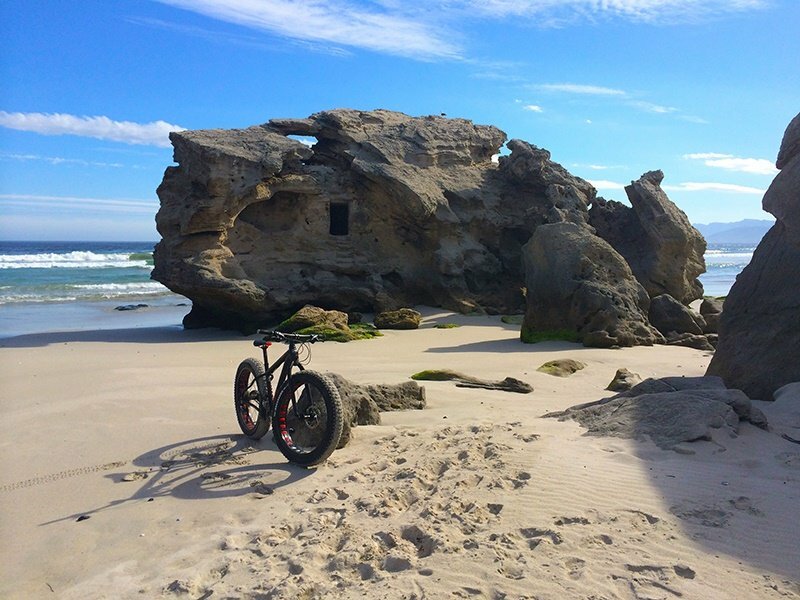 Please complete the form below and your enquiry will be sent directly to Fatbike Tours via email. 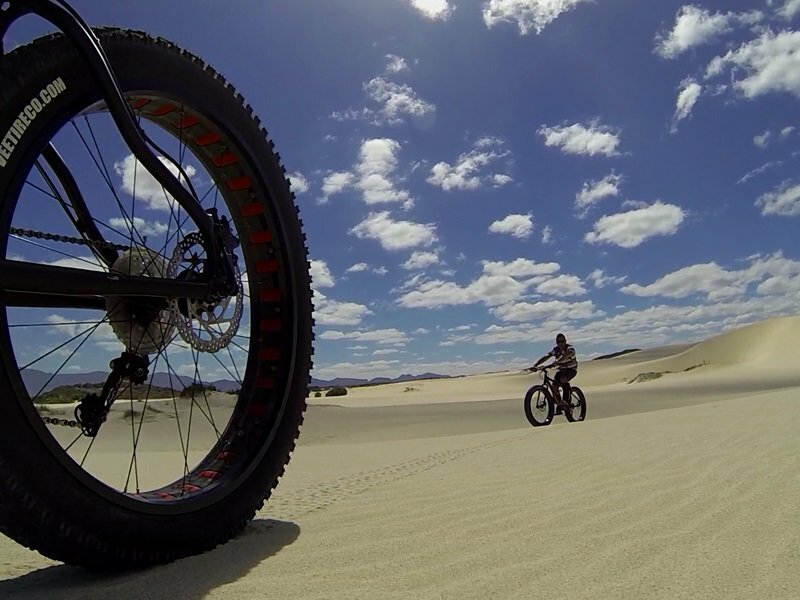 Your enquiry has been sent to Fatbike Tours. 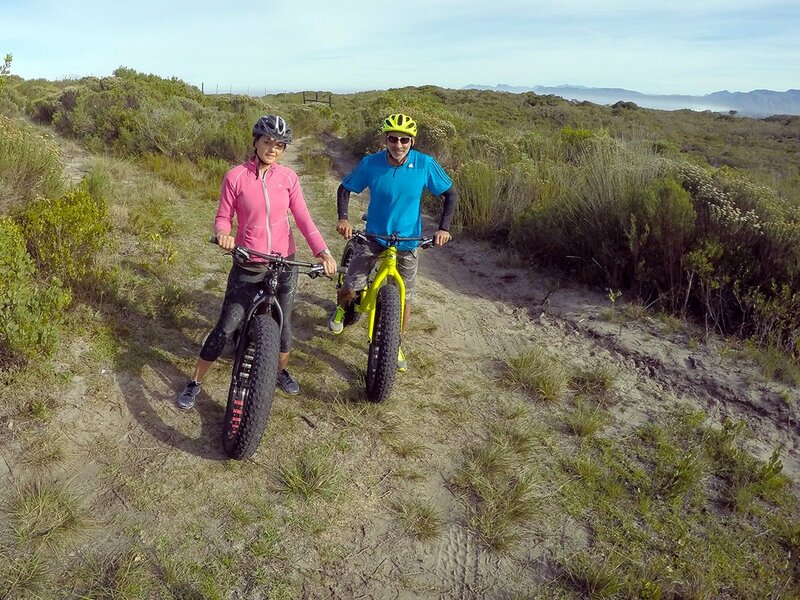 We offer stunning trails in De Kelders on our new Fatbikes with 4.7 Inch tyres. 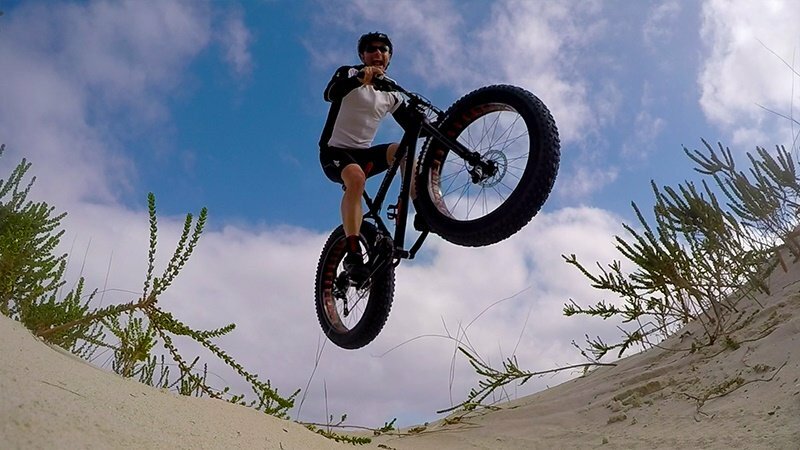 Easy to ride on the sand and you will have the time of your life with the new sensation of being able to ride in the most beautiful terrain there is. 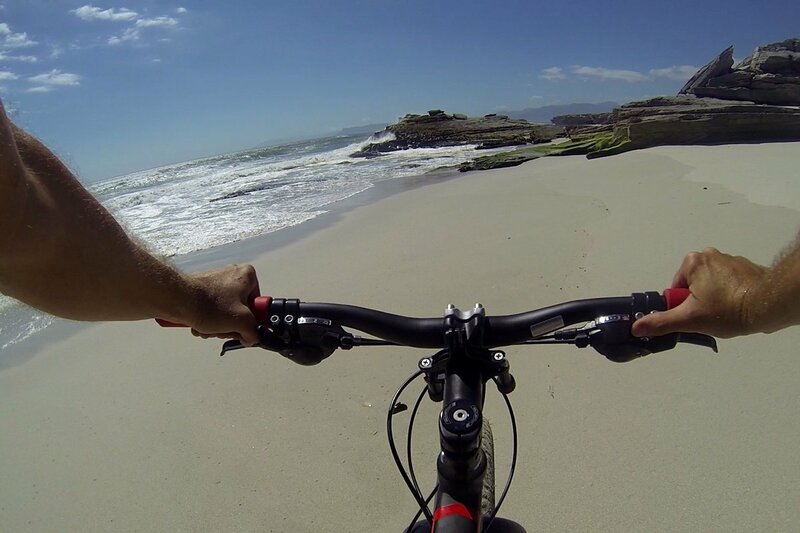 We will start by the nature reserve entrance and then will ride down the 4x4 trail down to the beach. The 4x4 trail is quite a long one taking us along the cliffs along Die Plaat. 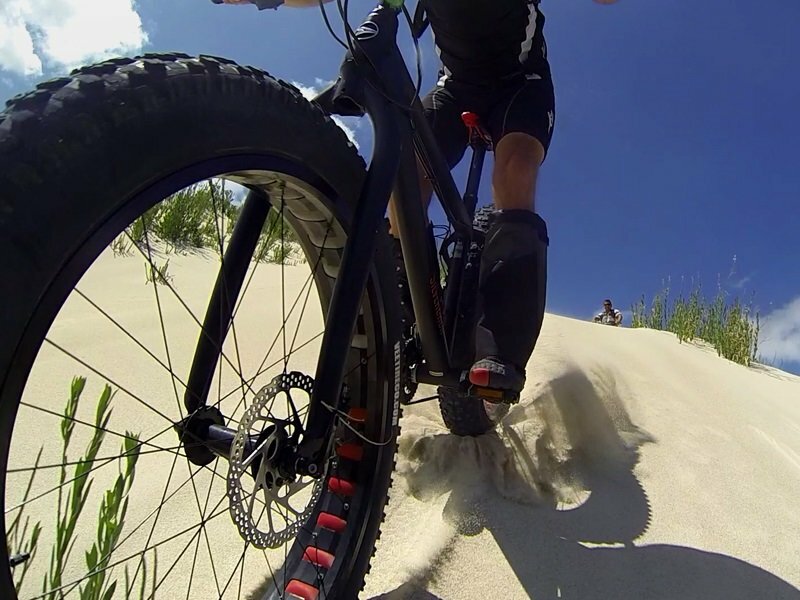 We will get some soft sandy patches where you will have the chance to try out the fat tires before getting to the beach. 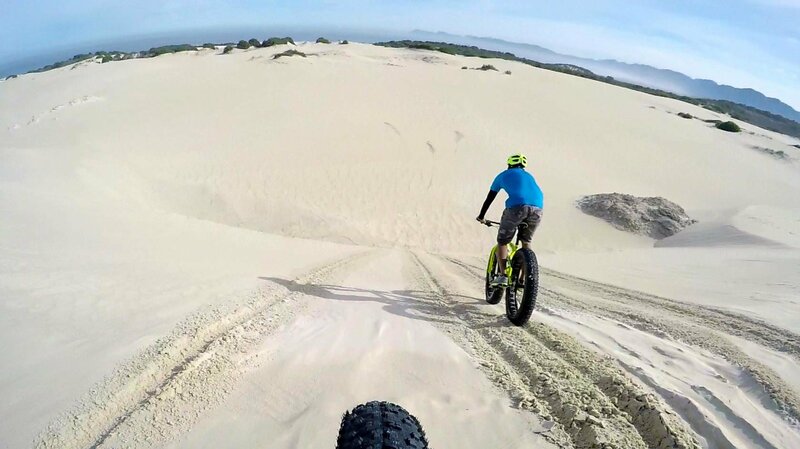 We can rest along the way as this is not a race and just for pure enjoyment and to take in the sights as well as enjoying the sensation of riding on sand without getting stuck. 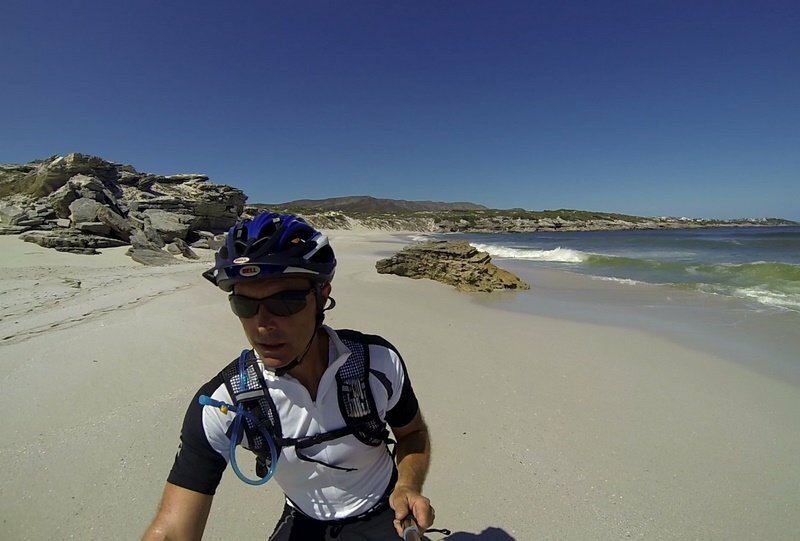 When we reach the end of the 4x4 trail we will get pure white beach all of the way to Hermanus. 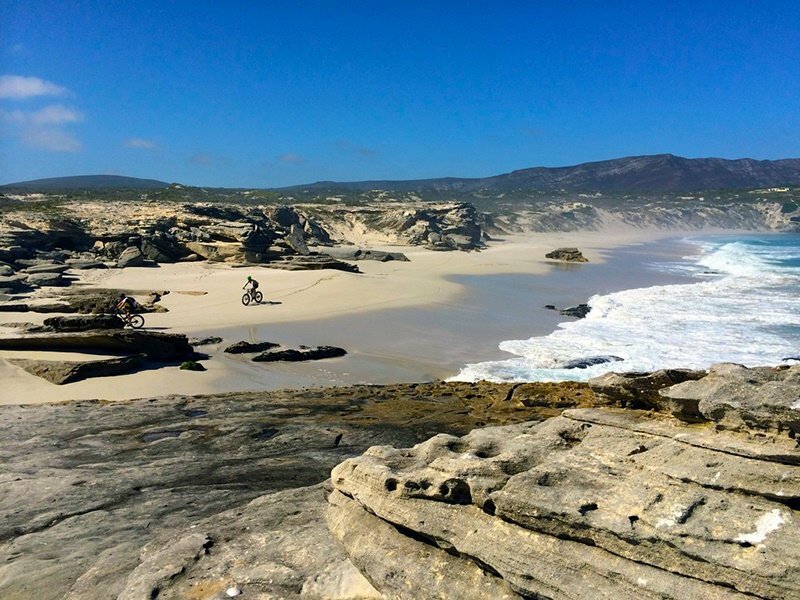 We can then decide between us how far we want to go and this will depend on your comfort on the bikes as well as weather and beach conditions. Along the ride we will have plenty of opportunities to stop, rest and take photos and if lucky we will find the odd seal taking a nap on the rocks. During Whale season we can keep our eyes peeled for Whales and it is common to see Dolphins in the summer months. if we are really lucky we may even see a Great White Shark. 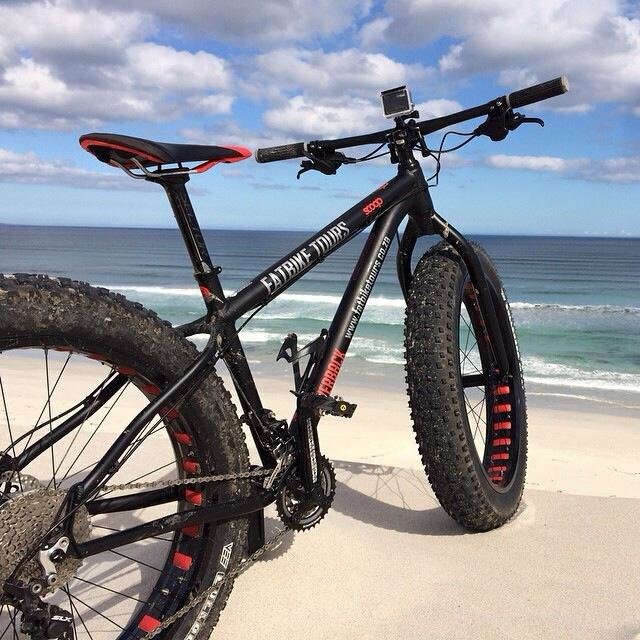 This is the ultimate ride from near Grootbos nature reserve down the mountain to the top of the Sand Dunes. 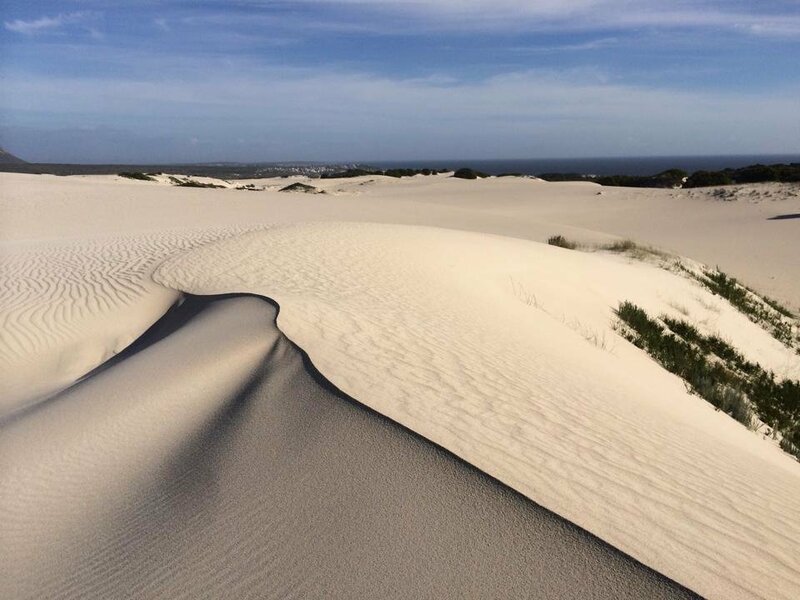 The trail to the dunes is special, running on a narrow sandy horse trail through the Fynbos. You will be given gaiters to wear to protect your legs from the bushes as they tend to really make you itch by the time you reach the dunes. 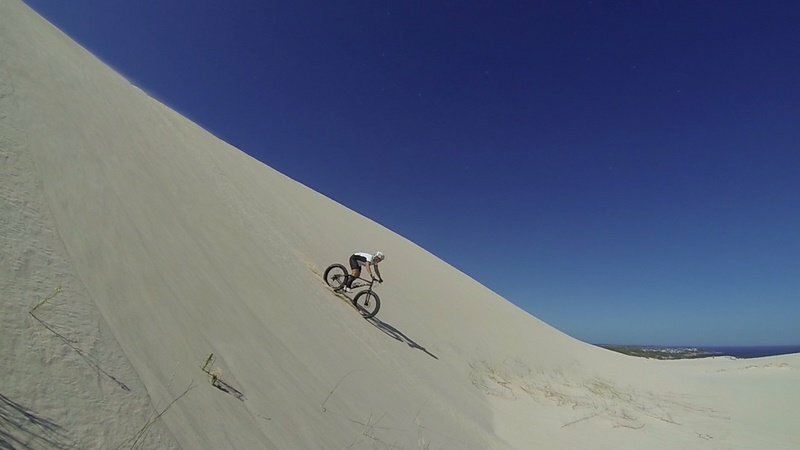 When reaching the dunes we will make our way up and across to reach a fantastic downhill section where we will pick up speed before reaching the top of our first vertical dune face. 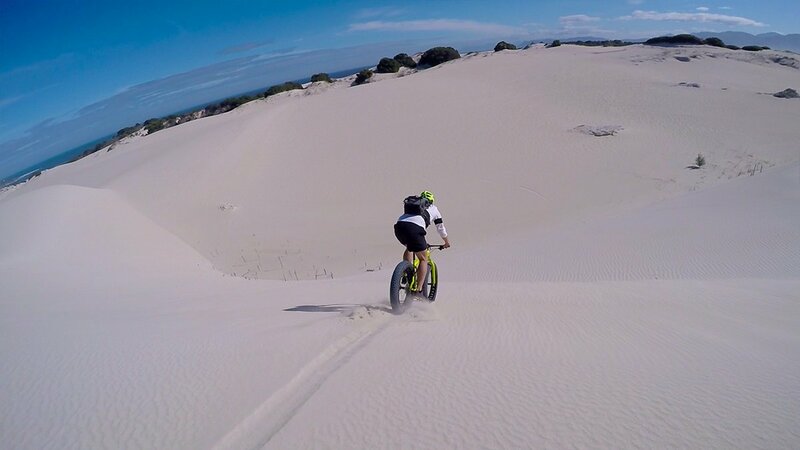 After a breifing on how to ride down the dune we will take turns riding down the face. 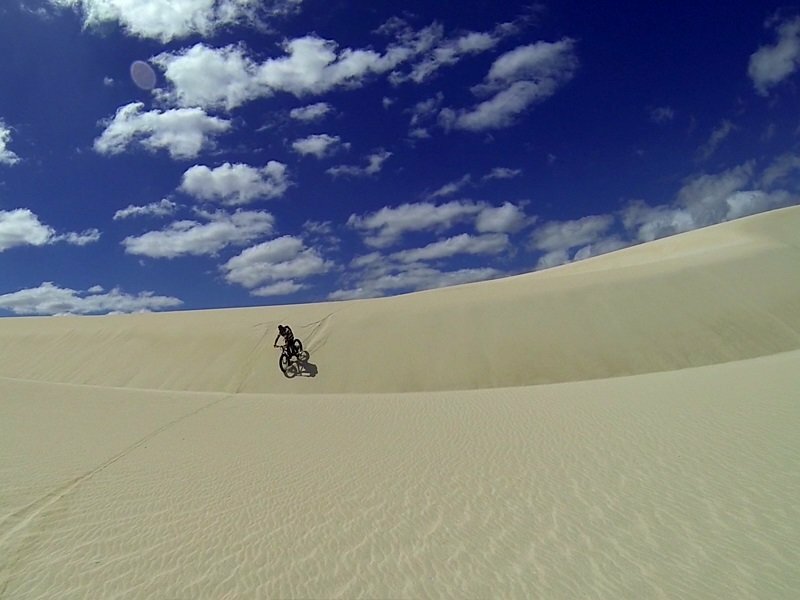 It may feel impossible and dangerous to do but the ride is infact very controlled and the sand will slow the bike down. What your mid tells you is impossible will infact be very enjoyable and easy. 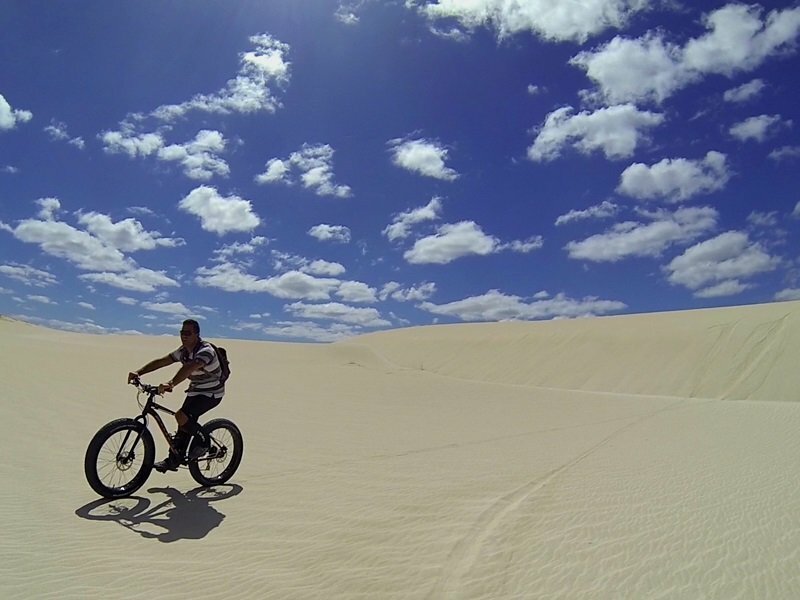 I will be at the bottom of the dunes videoing your challenges so remember to smile and if you fall dont worry, you may go viral. :-) I will also teach you how to do slalom like a skiier on a snow ski slope. 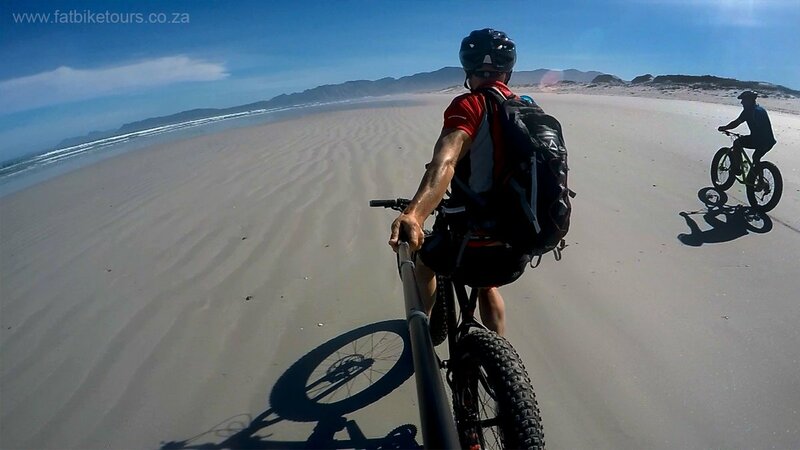 This is excellent fun on a bike and not too difficult to achieve. 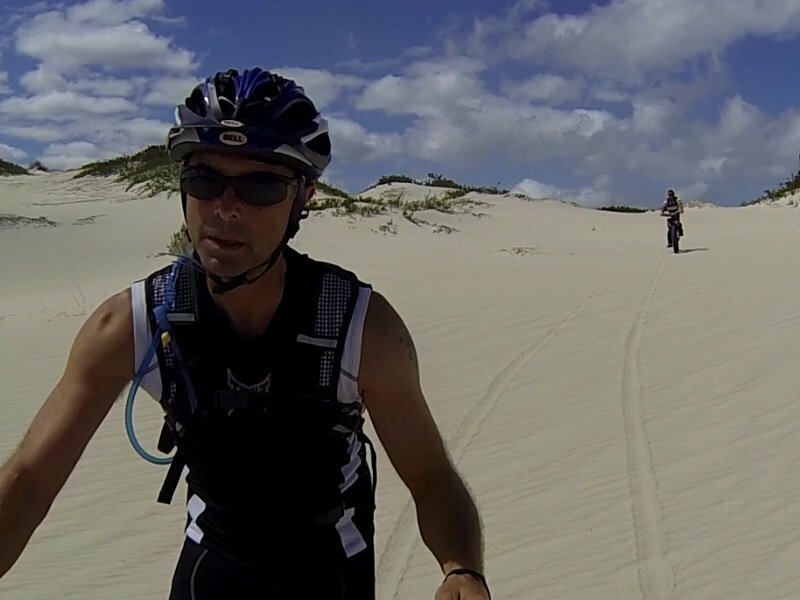 After the dunes we will pick up a 4x4 trail down to the beach and then tackle the biggest dune of them all down onto the beach. We will then ride for approximately 500m until we reach a low section of rocks where we will make our way back up to the 4x4 trail. 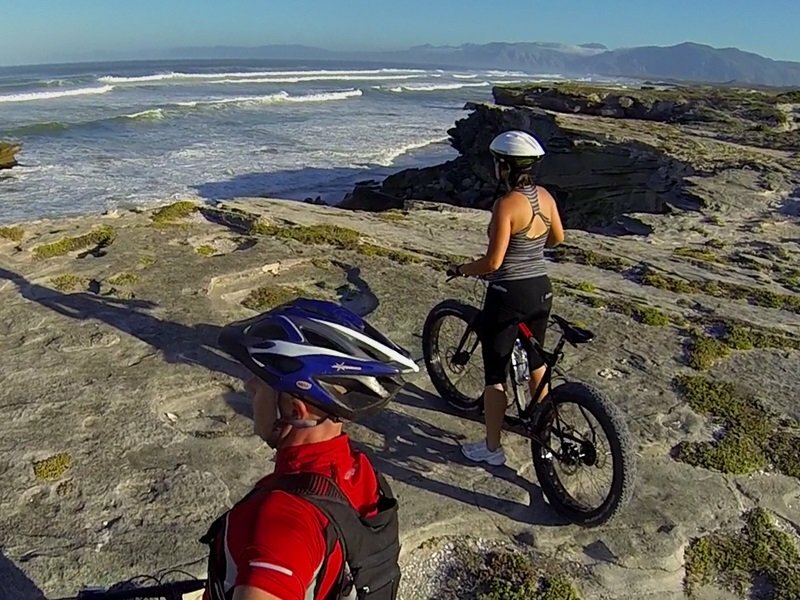 From there we will exit the reserve and ride along the coastline along De Kelders.